Our top tier DFY training & coaching service is by application only. 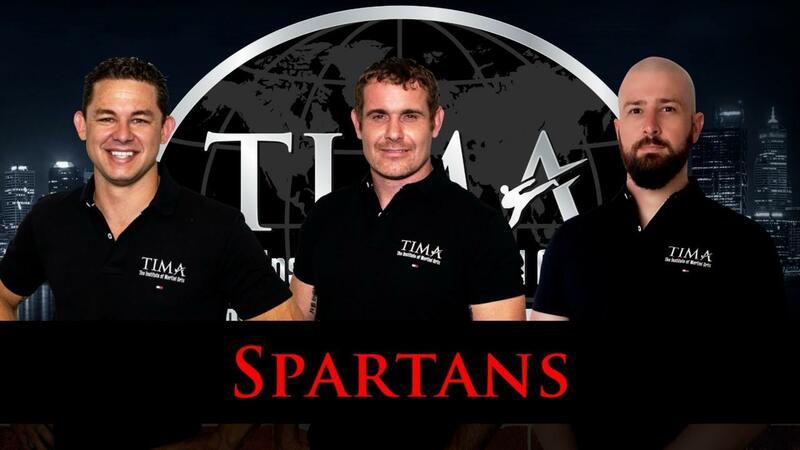 Join the TIMA spartans and get access not just a variety of courses to help you grow your business but 3 of the best minds when it comes to growing your martial arts business. Non stop full blown training to help you grow your business dream. By joining the TIMA Spartans you will actually get a DONE FOR YOU marketing strategy and also fully monitored campaigns from the TIMA marketing team. No more doing it yourself, trying to figure it out taking your attention away from the more important tasks you should be focusing on. Eddie and his team are one of the best at getting your brand out their and your leads rolling in online. You want Internal and external marketing strategies? Well just swipe and deploy exactly what we are doing each and every month at our WAIMA schools. We spend thousands or dollars and too many hours working out the best marketing strategies so that you don't have to. Get in-depth one on one sales training and convert more of those leads into high paying clients and students that stay for life. We have spent years refining our sales process and now it is all laid out for you to follow along with in-depth training of you and or your team. This pillar is where the rubber meets the road and where your business with sink or sail. You will get one to one training and assistance to Implement the systems you need to build a 7 figure business. This course is all about making sure your business is systemised and ready for scale. Build a world class instructor team and have the bench strength needed to get out of the engine room and sail your ship. The TIMA leadership and Instructor training course develops world class leaders that will assist you in building your business dream. Get one on one training to assist you in setting up and rolling out your new program. As the owner you get full access to a customised online training portal all set up with you own logo and business details. Your students will get access to grade tests, certificates, training video's and much much more. This innovative online program is world class and one of a kind when it comes to training your instructor team. Once all the above pillars have been implemented then its all about monitoring and adjusting to the seasons of business. Getting the foundations of a 7 figure business is crucial but maintaining a 7 figure business is hard and being around like minded people who have been their and a currently crushing it the way you would like is key for your growth both professionally and personally. Not everyone can join and we are very selective on who we take on board. You essentially become part of the family so an application and several conversations need to occur before we take the next steps. TIMA Spartans is a full service coaching and training program helping you grow to 7 figures and beyond. Get three expert mentors in your corner helping you and pushing you to succeed both in business and in life.